Like many other travellers of Thailand and its islands, Phi Phi was by far my favourite. I can’t pinpoint an exact reason why, it’s just fun. Phi Phi it a great place to be and has a strong hedonistic vibe – I know that makes me sound like an earthy hippy, but I’m not. 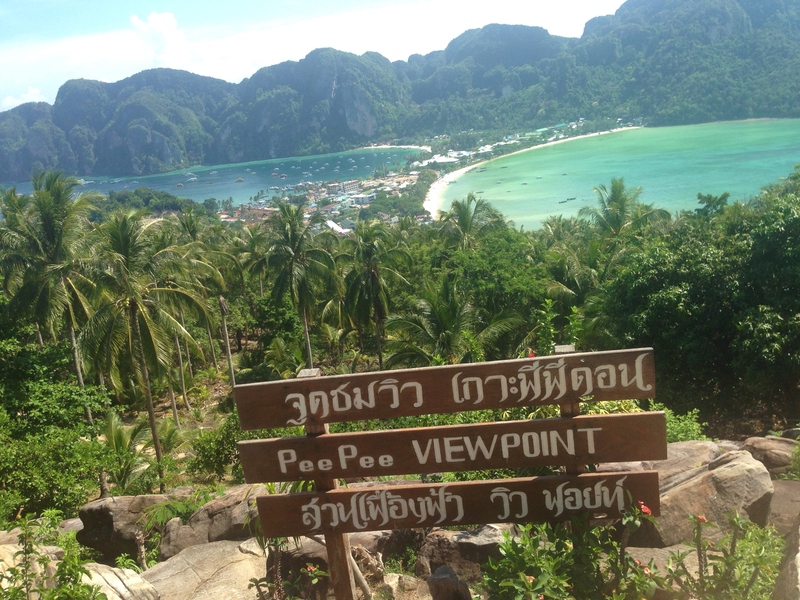 Before we continue, Phi Phi is pronounced “Pee Pee”, not “Fee Fee”, and eventually you will get over the amusement of the island’s homonym. One of the great things about travelling is that you get to meet lots of interesting people from all over the world. My social skills are 10/10, I made a friend within my first hour on the island. Tourism in Phi Phi was ignited by the film, The Beach. So you have to take an obligatory day long boat trip to Maya Bay and other surrounding areas… I did this twice because, why not? I hadn’t actually seen The Beach, so the location didn’t mean a lot to me at the time. Since coming back home, I have seen it, which made me sort of nostalgic, which is weird because it’s a pretty dark film. There are two ways to reach the island, the boring way and the fun way. If you choose the boring way, you’ll either get off the boat where the above picture was taken, in the bay, and then swim to the shore, or you boat will pull up to the sand and keep you try. 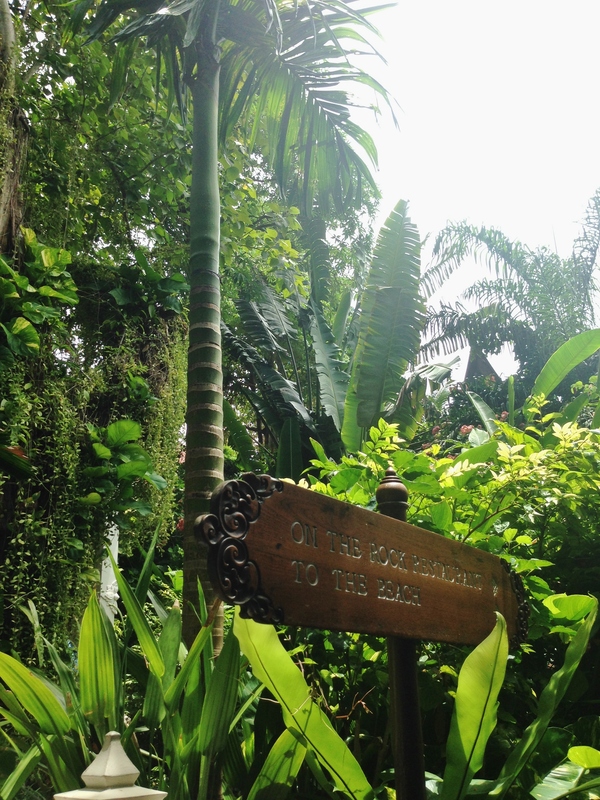 Setting sail again, you’ll head to monkey island, which is exactly what it says on the tin. We actually kayaked by a cave which has been inhabited by people, which was fascinating. We also just generally swam around various bays and open water thinking, how is the water this blue, and why can’t it be like this in Blackpool?… any many of life’s other unanswerable questions. The bigger the boat, the less you feel the waves. On our first boat trip, the weather took a turn for the worst, grey clouds rushed across the sky and we headed back to Phi Phi as the little wooden boat, colourful ribbons and all, crashed into the sea. I loved it, others hated it. So, other than a boat ride day trip, what else does Phi Phi have to offer? Probably not exclusive to Phi Phi, but I came across the coolest form of ice cream ever invented. You pick your flavour then add your topping. I went for chocolate and M & M’s. Next, the liquid mixture is spread onto a cold plate ’till it completely freezes and is then scraped off into ice cream curls. I’ll be honest, it looked a lot cooler than it tasted. But still, it’s different compared to a Mr Whippy from the ice cream van in Roundhay Park. As the sun set, evening plans came into place… heading to the most popular beach club (it’s not really a club) Slinkys… we made our way to the beach, typically armed with cocktail buckets filled with Strawberry Daiquiri (arguing about how “Daiquiri” should be pronounced). But first there’s the Reggae Bar, where if you’d rather get punched in the face, than pay for a bucket, this is the place for you. The Reggae Bar is home to a Thai kick-boxing ring, where you can compete against your friend in return for an alcohol filled bucket. Or you can just buy one… To get an idea of prices, 50 Thai Baht is about £1. Slinkys is great, so great in fact that I didn’t manage to get any “good” photos there… most of them are blurry with people sticking their tongues out. Last but not least, if you go to Phi Phi, you have to overcome your morning hangover and climb up to the spectacular viewpoint. But we carried on regardless, sorry Katherine. Posted in Thailand, UncategorizedTagged asia, fun, maya bay, phi phi, slinkys, thailand, the beach, travel, view pointBookmark the permalink.